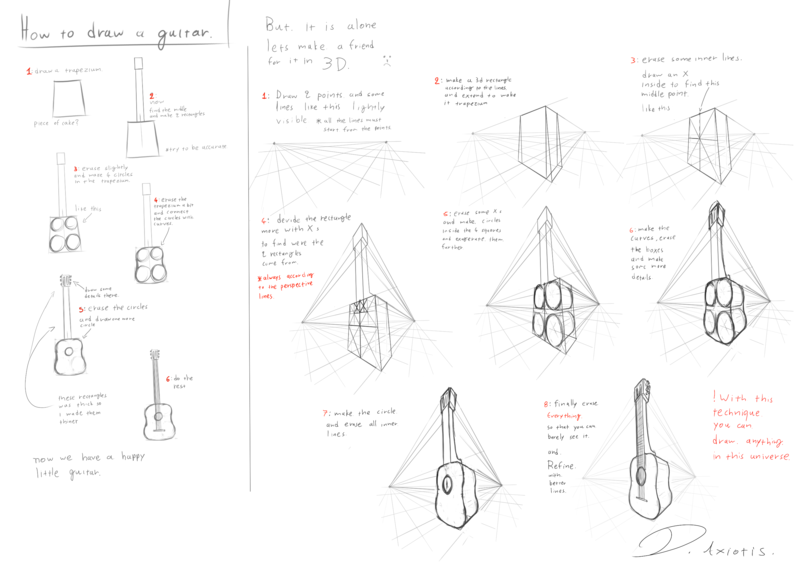 Here is a small tutorial i made on how to draw a guitar according to the perspective rules. ​We create 2 perspective points and according to them we build basic shapes to form progressively the final shape. We can use this technique to draw anything! Imagination is your limit! Click here to see or download the full resolution tutorial picture.